To be fair, in the battle of airport hotels, the Hilton Garden Inn Spokane Airport had a pretty big advantage. 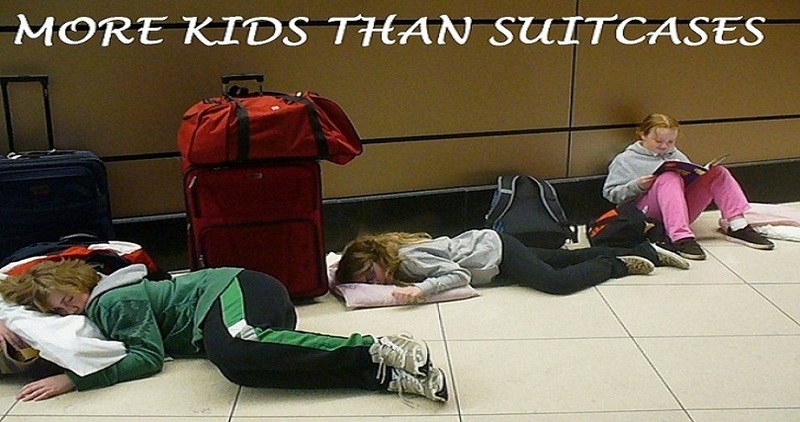 See, my kids associate airport hotels with early morning flights, and in case nobody ever told you, teenagers hate getting up in the morning. So when my kids found out that our flight the next day was at 2pm not 2am, they were thrilled (They were a little less thrilled when the flight got delayed, but that's another story), which meant all the Hilton Garden Inn had to do was impress Lori and I. How did it do? Cost: The Hilton Garden Inn was actually the most expensive option in Spokane on the night we needed a room, BUT (emphasis on the "but" to make sure my wife keeps reading) parking at the Spokane airport ranges from $6-$10 per day, and the HGI had a great Park N' Fly option that made up for most of the difference. All things being equal, I'd rather stay at a chain where I can earn points and get benefits from having elite status, and by choosing the Hilton not only did I get points on the room rate, but as a gold member I receive two free breakfasts every morning, which the hotel very graciously extended to four. Remember those teenagers who don't like to get up in the morning? It's different if there's food involved. Between the points, the free breakfasts, and not paying for parking, I had no time justifying the slightly higher room rate. Location: The hotel is wedged between the highway heading into Spokane and the airport itself. Sounds like a recipe for a noise nightmare, but I can honestly say I never heard a thing from within our room. It's only a three minute shuttle ride from the hotel to the airport and the shuttle runs on demand instead of on a set schedule. This thrilled me to no end as I'm usually the guy who shows up 5 minutes late for the last shuttle and 25 minutes early for the next one. There's plenty of food options within a couple blocks (although no matter how many choices there are, my kids will always send me for a stuffed crust cheese pizza) and a Walmart is nearby as well. You're still a little ways out of the main city of Spokane, so this might not be an ideal place to stay if the purpose of your visit is Spokane itself, but if you're flying in or out, this is about as good as it gets. Service: Smiling faces make me happy. Not awkward, plastered on smiles like the kind I put on every time I hear the words "Say Cheese! ", but it's nice to deal with people who honestly seem to be having a good day. Apparently, a bunch of these people work at the HGI in Spokane. Everybody seemed to be happy and eager to please. At check-in I noticed a Gonzaga sign on one of the backroom doors, and as it was a March Madness weekend, I asked the agent if Gonzaga had won their game. She apologized for not knowing (Hey, I'm a so-called basketball fan and I'm asking you) but before I left the desk she made sure to find out for me. It's little extra things like finding that score for me that stick in my mind when I remember hotels. Most of them can get you checked in and up to your room with a little bit of pleasantness, but the hotels that do the little things for you, will most likely be there when you need something more important. That's usually how I judge service, and HGI Spokane has some great people giving great service. microwave might have been from the first batch ever produced. The bathroom was small, and definitely not an ideal setup for more than two people, but for a one night stay it was fine. The internet was wireless and free, and seemed to have decent speed to it, or at least it did before my kids connected every device ever invented to the network. I actually called my son out for having three devices connected to the wifi when he only has two hands, only to have him prove to me that he could, in fact, use three devices at the same time, and I suspect that if I'd challenged him further he could have added a fourth. If anybody else was in the Hilton Garden Inn that night, I apologize for your internet speed. The bandwidth was in room 329. Breakfast: The one area where the Hilton Garden Inn fell a little short was in the breakfast buffet. It didn't lack for choices, as there was sausage, bacon, eggs, and a plethora of danishes, muffins, and juices. The food just seemed a little cold, and although I don't expect any hotel to cook their food exactly to our tastes, none of us found the food to our liking. We did order some food off the menu as well, and while my children again didn't really like their choices, I quite enjoyed my omelette. Our waitress was great, and there was no problems getting the breakfast charges taken off with our coupons. One issue I have with the buffet though...who thought it would be a good idea to put chocolate chips out as a topping for waffles? It's not that I don't think chocolate chips and waffles go well together (they do), but now guess what my daughter expects to see out on the counter every Saturday morning? It's not going to happen Neve! Overall it was a great stay. If we decide that we're going to fly out of Spokane again, this will be the first hotel that I check availability on, particularly if we're going on a longer trip as the Park N' Fly option allows for up to three weeks of free parking. That would be a huge money saver, although you should be aware that while you can probably find a space right in front of the main entrance to the hotel, you are parking in an open surface lot, so I wouldn't be leaving valuables behind. The real test though will be on our next visit. If our flight leaves before noon, and the kids are still enthusiastic about the Hilton Garden Inn, then we'll know that we've found our go-to place in Spokane. That's a pretty tough criteria for any hotel to meet, but I think the HGI Spokane Airport has a shot.